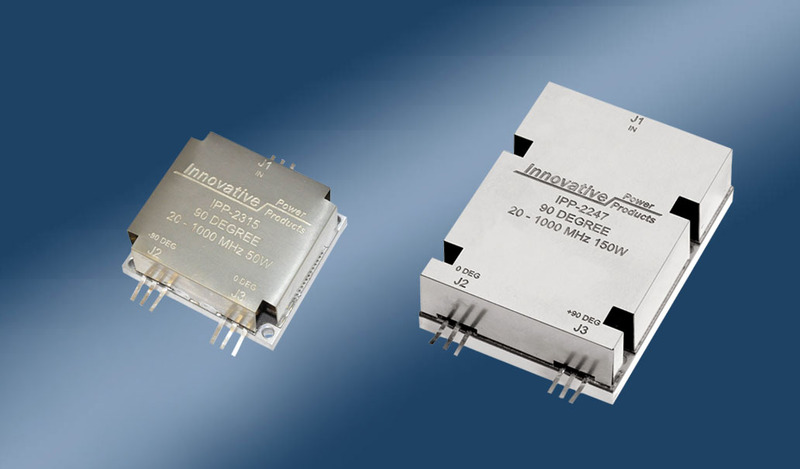 Innovative Power Products introduces their latest 90 Degree coupler that operates over the full 20 – 1000 MHz. band. Our new Model IPP-2315 handles 50 watts CW and comes in a Drop-In Style package which is only 1.71 x 1.90 x 0.76 inches. The IPP-2315 will combine two signals up to 50 Watts CW of total output power. This coupler has a remarkable amplitude balance of < + / – 0.30 dB across the whole band. This design is a 3 port device with an internal Termination capable of handling 20 watts. Insertion Loss is less than 0.80 dB, VSWR is less than 1.35:1 and greater than 16 dB of Isolation. For higher power 20 – 1000 MHz. applications, the IPP-2315 is perfect when used as an input splitter along with our IPP-2247 as the high power combiner for amplifier modules. The IPP-2247 handles as much as 150 watts CW and has an amplitude balance of < 0.25 across the full band. Delivery: Stock to 5 weeks ARO. For pricing or additional information, please contact the Sales Department at 631-563-0088, or email us at sales@innovativepp.com. 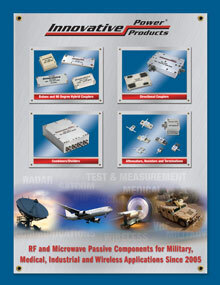 IPP also offers other 90 Degree Couplers, Baluns, Combiners and Dual Directional Couplers for 20 – 1000 MHz. Band.